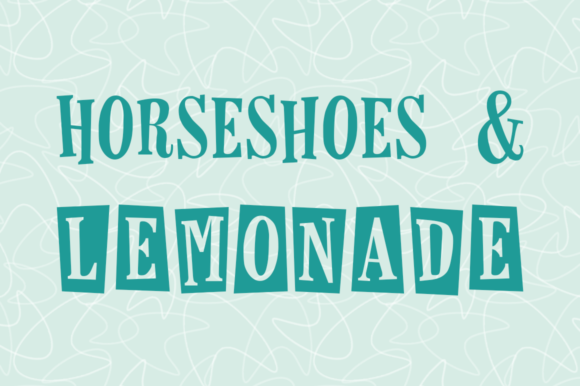 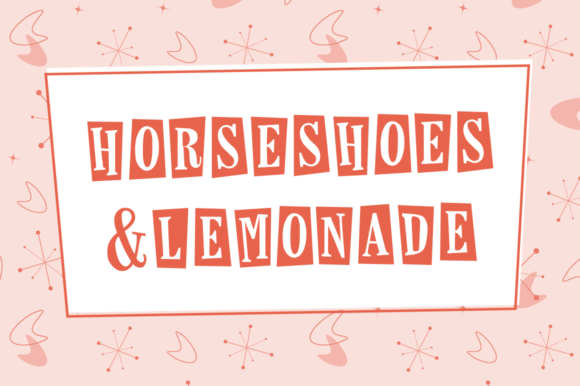 The Horseshoes & Lemonade is an amazing serif font, inspired by vintage fifties and sixties design elements. 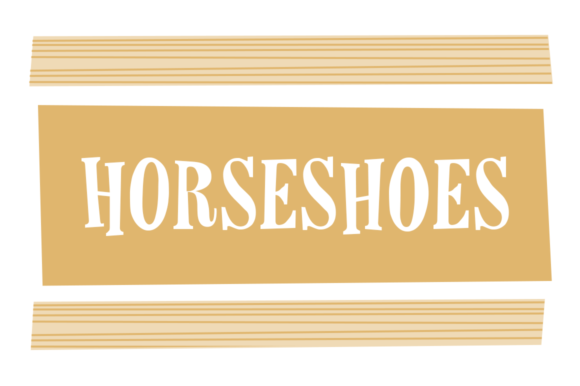 The lettering features exaggerated angles with the square borders. 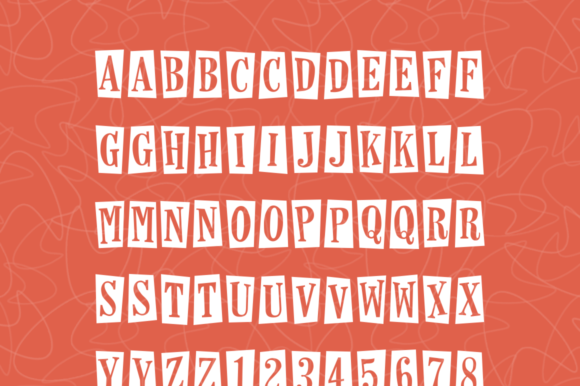 All letters are capitals but the lowercase characters provide variations. 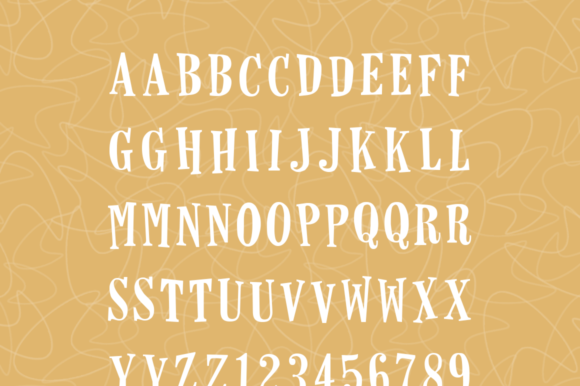 This package includes an additional font containing only the letters without the borders.